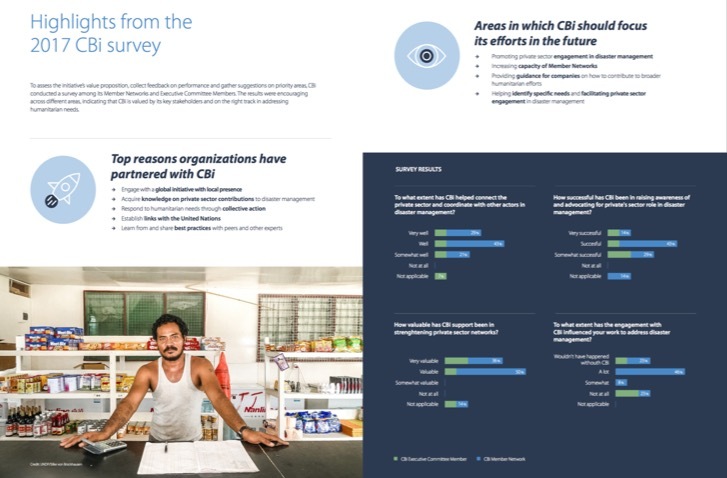 CBi Progress Report 2017 provides an overview of the achievements and results of the first CBi Annual Survey. Whereas feedback has been overwhelmingly positive and based on experiences and lessons learned, we have also identified gaps—in addressing complex emergencies, measuring impact and exploring innovations. These will be our additional focus areas in 2018. The report also presents those.